Today as I start my summer internship, I wanted to briefly share my main DOs and DON'Ts for the first day of your internship. Be happy, positive, excited! The company picked you out of all the people in the world to take this job. Be proud and be ready to kill it! Be prepared. Bring a pad of paper, a pen, your documents, mints, snacks and water. Make sure you don't need to ask for anything if you do not have to. Often the first day is packed with you learning and running around. I like to make sure that I don't have to ask too many favors the first day. Ask questions! If you do not know something, ask the question, write down the answer, and thank the answerer. My old boss of mine once told me "Ask once and I will answer kindly. Ask twice and I will answer rudely." At this point in life, we are adults and need to be responsible with others' time and patience. Try not to ask the same question more than once. BE LATE. I leave at least a half hour earlier than need to ensure that I will be on time. Plus, it doesn't hurt to walk a little bit to get the jitters out or plan for traffic in a new area. Act like you know everything. You just got to this company or a new boss if you are returning to the same company you interned with last summer. Treat everything as a new experience and learn from the great people around you. Alienate yourself from the other interns. You will need friends to get through this process. Make sure you make friends and figure out what is the best way to interact with your new peers. I had an intern buddy who was quiet last year and I found that she like to text or write notes back and forth more than talk. I made sure to use the medium of communication easiest to talk to her. 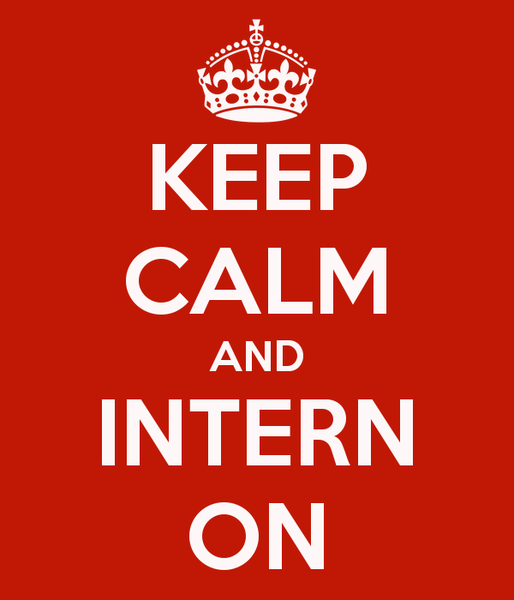 Good Luck to all the interns starting today and who have started earlier this month. We will kill these projects and improve our companies!